Tha Paintshop Hostel is the original and best hostel in Figueira da Foz- created by backpackers for backpackers. Just 10mins walking distance from the train & bus stations, Europe's widest beach & nightlife we've got everything you need for a comfortable and fun stay on the Silver Coast including: fully equipped kitchen, DVD lounge, hot & powerful showers, fully stocked bar, beer garden & internet cafe. 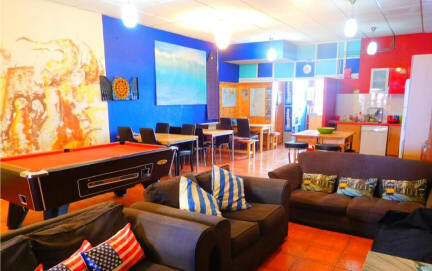 Since its new management in 2010, the Paintshop Hostel has become known for its friendly welcome, laid back atmosphere, relaxed and comfortable lounge, excellent facilities and easy access to the local surf and night spots! The Paintshop Hostel is the first and only international backpackers in Figueira da Foz. Close to all the bars, clubs and beaches you need, it's the perfect place to break the journey between Porto and Lisbon. We offer budget accommodation with private double rooms, twin rooms and 2, 4 or 6 bed dorms, with free internet/WIFI and breakfast. You can cater for yourselves in our well-equipped kitchen with dishwasher, or fill up on delicious food and local vinho at the many nearby bars and restaurants. Or join in with us on a Monday night to take advantage of our Homemade Woodfired Pizza's! You can create your own pizza from a delicious array of toppings on a freshly made pizza dough base, and we'll cook it up in our own pizza oven! This also comes with salad, garlic bread and yummy dessert pizza! But Wednesday night is our favourite night of the week, because then you can join in our Paintshop Barbeque. An awesome spread of marinated meats, hamburgers, seafood, vegetables, salads and potatoes, everybody stuffs themselves full before heading out for a night on the town! The newly refurbished Paintshop Bar and Beer Garden is a great place to kick back after a long day at the beach and meet both locals and travellers. On Friday nights get ready for the world famous 'Paintshop Bar Crawl' where staff, owners and locals get rowdy with the guests, then run rampant through the bars in town with free shots at each bar! The Paintshop bar has a Big Screen TV where we show all the major sporting events, and hold our 'Hangover Sunday' Movie nights with free popcorn. If we have loads of guests that are keen for some banter, we hold a Paintshop Trivia night, where giggles, arguments and competition abound and the winning team all get free shots! If you feel like staying in and relaxing we have heaps of DVDs and there is also satellite TV in both the hostel and the bar. We have an internet cafe where you can surf the internet, charge your iPod, upload your photos and there's a pool table in the hostel plus a free book exchange to keep you entertained. No matter if you are on your own or travelling in a group; make sure to ask about the large number of activities in and around the town. Kayaking, surfing, tennis, horse riding, 5-a-side football, scuba diving, chilling at the water park or sky diving, theres something for everyones taste! We also hire out mountain bikes for the epic trails up on the hill, and skateboards to use in the local skate park, and new this year we have Moto-X lessons from only 30â'¬ for 2 hours by a local Moto-X champion, just ask our helpful staff. 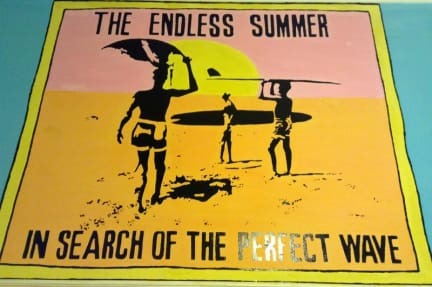 Figueira da Foz is a surfers paradise - with beach breaks and point breaks for 15km North and South along the coast, and here at the Paintshop Hostel we provide Surf Hire of wetsuits, bodyboards, longboards, Mini Malibus and short boards! Or if you're new to surfing, our experienced surf instructor will give you lessons for only â'¬30 for a 2 hour lesson. For the really keen we have organised 'Surf Camp' packages (from 270â'¬) which include accomodation, surf lessons and hire, and transfers to and from Coimbra. Inmejorable ambiente. Desde que llegas te sientes parte de “la familia”. Excelente para relacionarse con otros viajeros. Y el personal es eficiente, amable, siempre dispuesto y, lo mejor, consiguen que todos nos sintamos iguales, parte del hostal. Lo recomiendo totalmente y seguro que volveré.